Nine people participated in this activity. 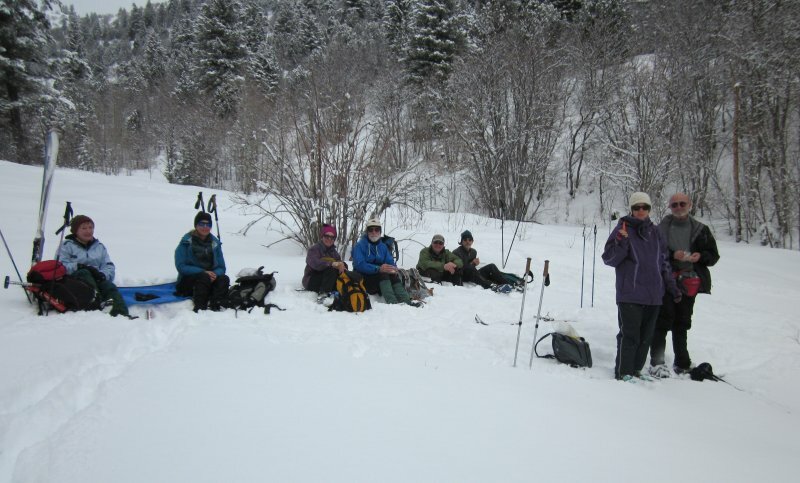 Tim, Jeanne, Dan, and Kathy were on snowshoes. Skiers Dave W, Dave P, Jane, Monika and Jim appreciated the 6 inches of new snow. We followed the summer hiking trail towards the Jardine Juniper, and except for a moose climbing the slope to the east, the uphill portion was uneventful. 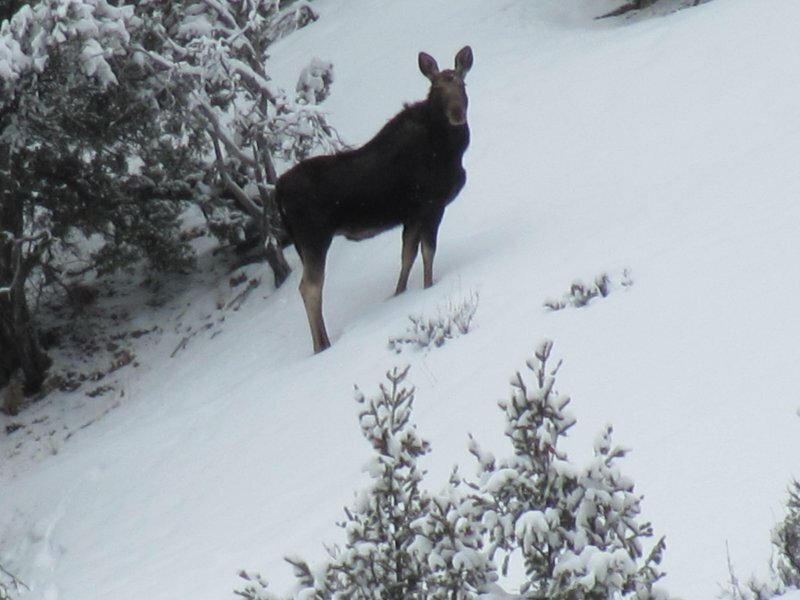 However, snow conditions prompted most of the skiers to remove their skis and walk down the open sagebrush area near the west fork. Our lunch stop was near the sign marking the first switchback, where we chatted with a young couple who had camped out nearby. Our round-trip distance was 3.6 miles, with 750 feet of elevation gain.